A fantastic bubble football (zorb) Essex game to laugh and laugh for days on end! Initially, it is created by Henrik Elvestad and Johan Golden in Norway. It took just over a year to reach UK shores with the Bubble Boys taking a firm stand in becoming the biggest and best UK bubble football company out there! Bubble Boys has branched throughout all counties creating Bubble Football Essex events along with many others. We are all very much aware of football and a lot of us probably don’t miss a match. The talk here however is about bubble football and the amount of fun that can be had. You see in football, you may be injured if you fall down. But in bubble football, you couldn’t be safer and have a license to throw yourself about more than Dider Drogba and Jens Lehmann! Not like any other game! Unlike other games, bubble football Essex creates fits of laughter through play and even for spectators. 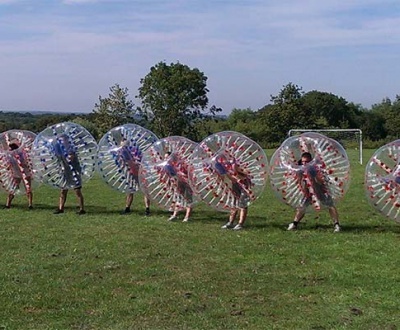 Bubble football is also called zorb football and its motto is recreation only. The upper body and head of the player is covered with an inflated bubble. The best place to play this game is in an indoor sports hall. Many games however are also played on 3G football pitches and even grass in the summer. The game itself is suitable for most ages at Bubble Boys. We cater from 10th birthday parties all the way through to a 40 year old stag do. It really is a sport for all ages. You can smash, bump, bounce and roll across grass or in indoor which won’t affect your body at all. You will be safe for sure. While male and females are playing together, it makes more fun. Zorb football UK is very famous and Bubble Boys are active in promoting this game vastly. 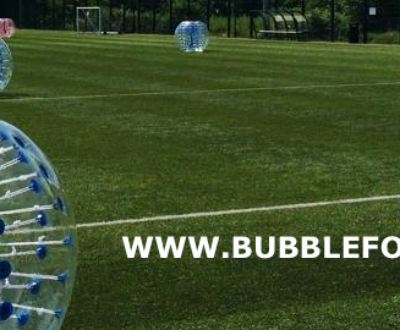 Bubble Boys are providing the game through the UK with venues guaranteed within 5 miles of your postcode! 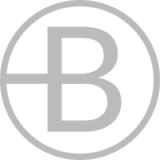 Just check out the location checker on our site and see how close we can get to you! To set your expectation. Bubble boys can fulfil your right enjoyment at the right time and the right place in bubble football London. You are not needed to be fully aware of the game. Simply you do bubble football hire and the coordinators will be at hand for any first time player. We promise, there is no special skill set or rules needed to play this game. In the summer it is recommended to have the zorb football hire at a spacious area outdoors on a 3G football pitch. This is because of the heat. Bubble boys are the best provider of zorb football compared to other zorb football London companies. They own high quality bubble equipment and have experienced staff to make your events memorable. They hold different suits to match zorb bubble for your body based on age. Hence you feel sufficient while wearing during play. Apart from this, they have wide range of gaming targets to achieve in funny way. This is with pleasant surprise in this zorb football London. The Bubble football Essex provider makes separate teams for kids, adults and older people. Because that split up saves them in many angle of creating problem during play. All prices are made to meet all kinds of budgets based on how many hours you want to play and how many players involved. The joy of bubble football. Perfect supervision is required for kids who are those under the age of 10. Only fully qualified staff are used for bubble football Essex at Bubble Boys. They are intended to offer unlimited fun games in zorb football Essex for all occasions and events. They allow us to play at our own game venue with our full responsibility as first option. But if we prefer their venue bubble football Essex also heartily welcome us to play over there with use of their all services. They are also helping on taking photos and videos to make the record joyful moments in our life without prohibiting it. If you see old videos, you can certainly feel like you can tackle to play even if you are new to this concept of game.